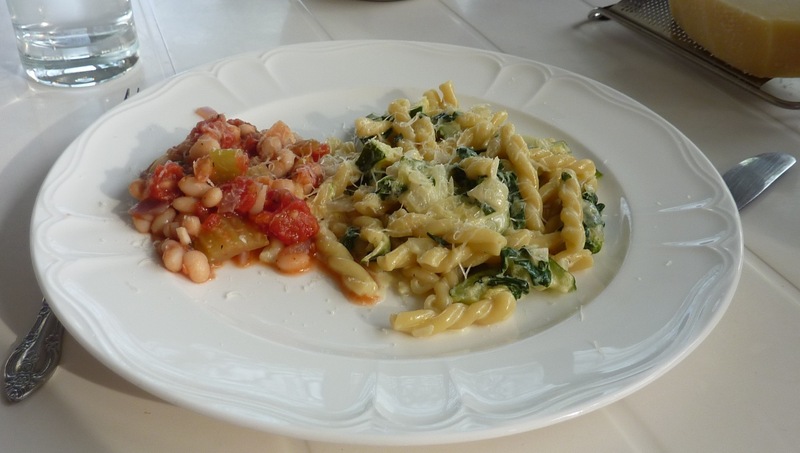 Adapted from Jeanne Lemlin’s Vegetarian Classics. New York, NY: HarperCollins Publishers Inc., 2001. Heat the olive oil in a large skillet. Saute onion, zucchini and garlic until tender, about 10 minutes. Add spinach and cook until wilted. Add salt and pepper. Add cream and bring to a simmer, cook until thickened. Add cheese and stir until heated through. Add pasta and stir to coat. Toss with fresh basil and serve. I stumbled across this recipe one night and had to try it. 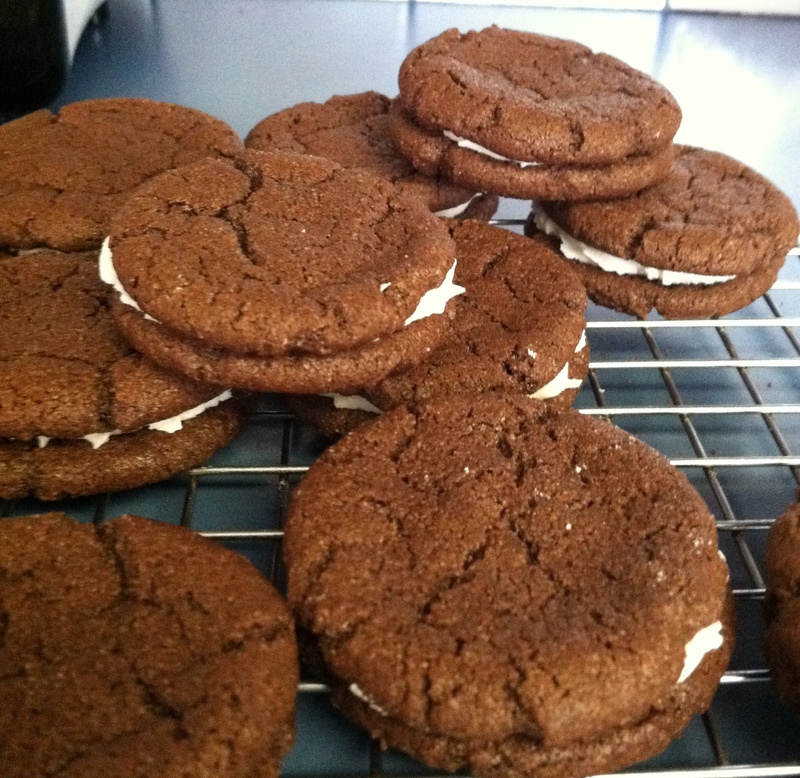 I love the chocolate wafer cookies, they would be perfect rolled in coarse sugar and baked. But I made the recipe as is and served them to a group of friends. Smiles all around. Preheat oven to 375F. Line baking sheets (4 if you have them) with parchment paper. In a food processor or mixer, mix/pulse flour, cocoa, baking soda, baking powder, salt and sugar, until well combined. In the food processor add the butter while pulsing, then add the egg and process until the dough comes together. In a mixer, add the butter and mix on low speed, then add the egg. Roll rounded teaspoons of dough into balls, place on baking sheet 2-3 inches apart. These cookies spread so give them space. Using your fingers, slight press down on the rounds. Refrigerate the sheet for 10 minutes. Bake 6-8 minutes, just until the tops are cracking. Cool on sheets for 5 minutes, then transfer to a rack. Cookies will crisp up some more after cooling. To fill, cream the butter and shortening. Gradually add the sugar and stir slowly until combined. Beat at high speed 2-3 minutes until light and fluffy. Using a pastry bag/ziplock bag, pipe about a teaspoon of filling onto a cookie. Cover with same size cookie. Lightly press to work filling to outside edge of cookie. Repeat.